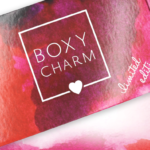 Boxycharm has added new items to the Charm shop! You will be able to earn 500 Charm for every friend you refer and 50 Charms for every product review! What items are you going to grab? If you haven’t signed up for Boxycharm yet, it is $21 a month. 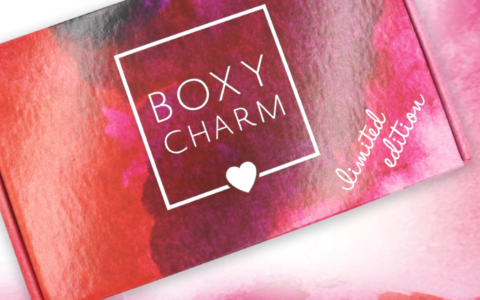 Check out my reviews of Boxycharm boxes, our posts of Boxycharm Spoilers for future updates! Does anyone know why our Charms have decreased from 250 in April to 100 in July and now from July to present it’s only 50 charms per review. I am happy that it seems like there were plenty of each item available for purchase. I didn’t have time to get on today until just now (past 10pm my local time) and wasn’t expecting to see the “add to cart” button available for Sunday Riley! Glad they are listening to feedback from customers! Wow thanks for the update I had so many points to redeem….I was able to get all three of the Sunday Riley products,both of the Sol De Janeriro products and the Ofra liquid lipstick in Napa Valley…I only ended up paying 7.00 for everything,I am one happy person today. How can I use my points? It just says add to cart? There should be a button that says something like redeem your charms or something like that when you view your cart at checkout. You can also go to their FAQ page and there’s a more detailed description of how to redeem your charms. Hope this helps! You don’t have to redeem charms first anymore. But that also means I don’t think there’s a way to get free shipping. Add the item to your cart. Then when you’re in your cart and choose checkout, click on the little cart icon that’s still in the upper right. In that window you should be able to redeem charms. At least that’s how it worked on my Android phone. Sounds like redeem option might be more obvious on computer. get the items I wanted. Still Available on page 3 of redemption section. I knew accumulating those charms will pay back one day. Today was that day. I redeemed my charms for SR cleansing balm, SDJ spritz, and SDJ shower gel. Paid only $17 out of pocket. It cannot get better than that! The SDJ body spray smells SO GOOD!! I redeemed my charms for 2 of the Sol De Janeito shower creams. Hope it smells like the bum bum cream. Yeah. Got some new Bum Bum since none was in the FFF edit sale this time. Yay… I was able to get a Sol De Janiero Body Mist! Thanks for the reminder, MSA!